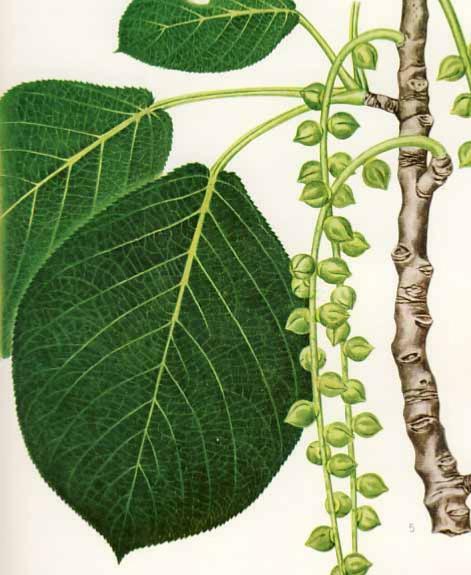 Populus maximowiczii is a native of Japan, Manchuria, Korea, and the Russian Far East. 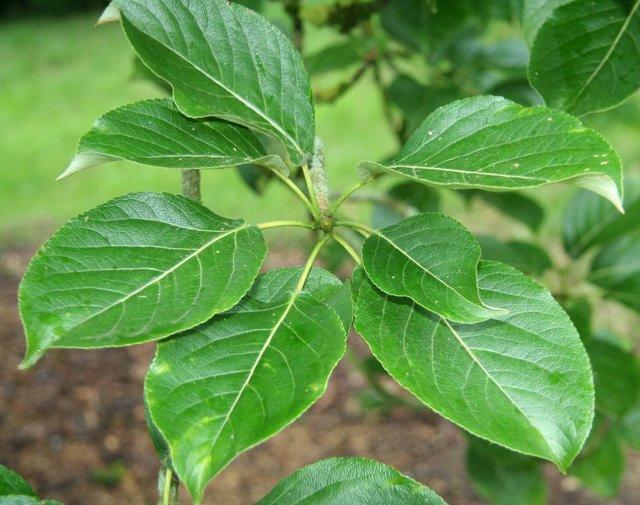 It is a balsam poplar, closely allied to P. suaveolens, in which it was included until Augustine Henry separated it as a distinct species in 1913. At that time it was not in cultivation in Britain, but was introduced a few years later and is still very rare in cultivation. 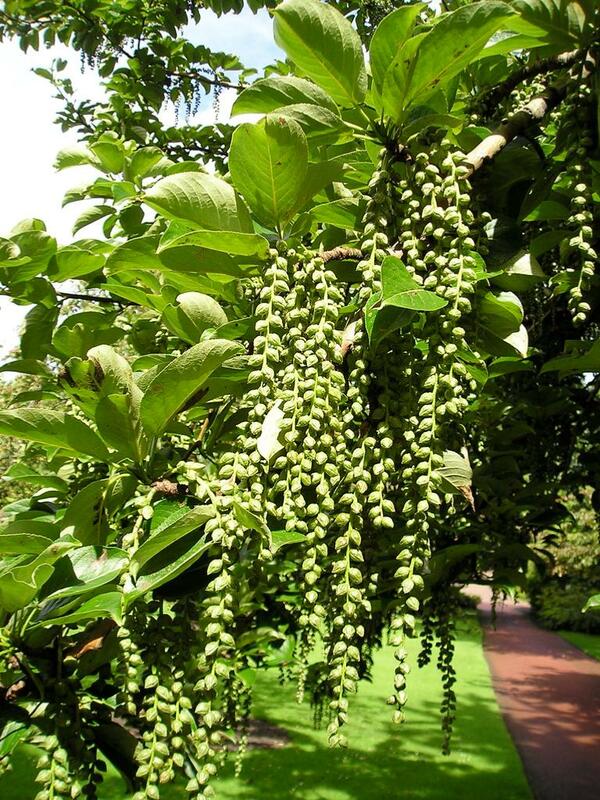 In the wild Populus maximowiczii grows to a larger size than any other species of eastern Asia, and ranks with the largest trees that grow there. It is also one of the most ornamental and distinct of the genus. The leaves unfold early in the spring and turn yellow before falling late in the autumn. 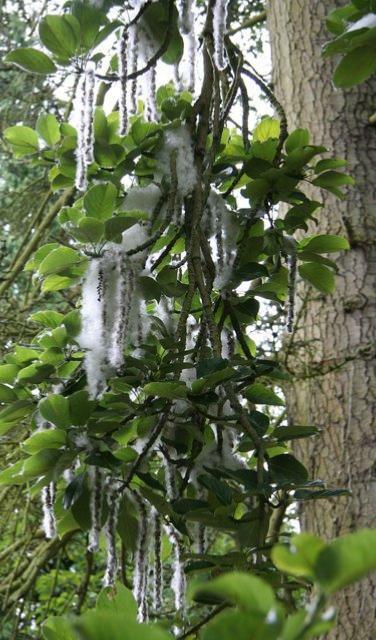 A tree up to 100 ft high in the wild, its bark smooth and yellowish on young trees, becoming grey and deeply fissured on the trunks of old trees. 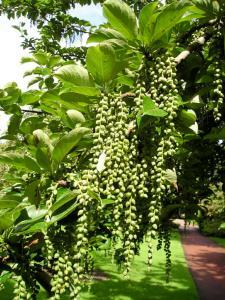 Fruiting catkins hang up to 10 in. long from May and are quite a feature; capsules shortly stalked, three- or four-valved, glabrous, ripening in September or October, much later than in most poplars. Populus maximowiczii is one of many plants named in honour of Carl Johann Maximowicz. Born a Baltic-German, his name at birth was Karl Ivanovich Maksimovich, buthe changed it to the German version of his name for his scientific work.He graduated from the institution which is now University of Tartu, Estonia in(1850), he was a pupil of Alexander G. von Bunge. From 1853-1857 he traveled around the world. He travelled with anotherBaltic-German Leopold von Schrenck to the Amur region in eastern Asia. From1859 to 1864 he also he visited China, Korea and Japan. He arrived in Japan inlate 1860, initially basing his operations in Hakodate. He traveled extensivelyin southern Japan and for much of 1862 including the region of Yokohama and MountFuji, he ended that year in Nagasaki. He also explored much of Kyūshū. He was particularly involved with the flora ofJapan, following the footsteps of notably Carl Peter Thunberg, and PhilippFranz von Siebold. Other notable plantsnamed in his honour include Acer maximowiczianum: Nikko maple, China& Japan, Betula maximowiczii:Monarch Birch, Japan - Crataegusmaximowiczii , Kalopanax pictus var maximowiczii,, Piceamaximowiczii: Maximovich Spruce, Japan.